Well, I seem to have solved my problem by going back to the old interface. Which I had no idea you could do, but of course this is only a temporary solution. When Blogger switch permanently to the new one, I may be up the creek without a paddle... although I have downloaded Live Writer at Deslily's suggestion. Honestly. Why the heck can't things be left as they are? at my normal speed. We're close to the end of yet another month and I have two books to show for it. I'd like to say it bothers me but actually it doesn't. Partly, the month has been a busy one - family staying at Easter, which somehow it seemed to take me longer to return to normal from than would usually be the case. Then we set about decorating one of the bedrooms and that's still ongoing, a long job because we're replacing the wallpaper and my husband is the sort that likes to do a thorough job with the painting etc. So, less time to read, and in the evening I haven't always felt that I wanted to pick up a book. Sometimes you just want to crash out in front of the TV - which can be a bit difficult at this time of year as the TV schedules are not what you might call 'wonderful'. 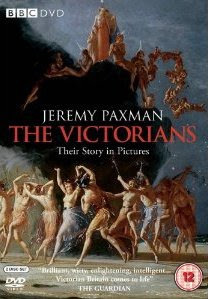 The Victorians - Their story in pictures, presented by Jeremy Paxman. For people outside the UK, Jeremy Paxman is most well known here as rather an abrasive TV journalist and interviewer, who never lets politicians off the hook. Oddly, his documentary style is rather different. Paxo (as he's commonly referred to in this country... it's a brand of stuffing used for stuffing poultry... LOL) is clearly smitten with his subject in this series. The use of paintings to illustrate Victorian life was totally inspired and Paxman's direct and humorous delivery of facts and opinions, not sparing any blushes when it came to embarrassing or difficult subjects, was just perfect. Everything was covered, from the Industrial Revolution, to home-life, sexual mores, the Victorian obsession with death, the after-life, fairies and so on, to Queen Victoria herself and touching on The Empire. I thought the whole series was stunning, the best £6.50 I've ever spent, and was incredibly sorry when we'd watched the last one, last night. It felt a bit odd because we'd also just finished watching Paxo's new 'Empire' series for the BBC, on the TV. The two series tie in so nicely together, they can be watched back to back... which what we did. I can only hope he has something new on the go and that we won't have too long to wait. For this do I happily pay my TV license. You wouldn't think there was much of a similarity but there you would be wrong. Both books take place in the border areas between England and Wales. In the first it's the counties of Herefordshire, where the Rev. Merrily Watkins is the diocesan deliverance consultant, and Radnorshire in Wales. 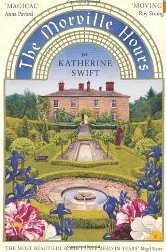 In the second it's the county of Shropshire, to the north of Herefordshire, where Katherine Swift was transforming the garden of Morville House in a secluded valley. I'm guessing there might be all of twenty miles between where one book is set and the other was actually happening. Both authors have the timeless, mysterious atmosphere of that entire region spot on. have been the same for countless years and probably will never change. rather than space, my expeditions only as far as the end of the garden. distant lands, but found one here, bounded by my own garden wall. lingering gaze, looking out into the garden. and better and she was so right. So, what to read next. Weirdly, I've a mind to read something completely different. I came across a review for a Katie Fforde book on The Book Jotter - Living Dangerously. I can't explain it but sometimes you read about a book and know that you have to read it *now*. So I nabbed it for my Kindle and that will probably be my next read... along with The Morville Hours of course. Happy reading, whether you're whizzing through books, or like me, not getting through very many at all but loving what you are reading regardless. My reading is going a bit slowly this month, what with Easter and family visiting and so on. I have finished my first book of the month though, at last, and it's my second read for Carl's Once Upon a Time VI challenge - The Bookman by Lavie Tidhar. It's the reign of Queen Victoria but not the Queen Victoria we know. The world has been taken over by a race of lizards from an alien planet and they now rule over most of the countries of the world, including England. Queen Victoria is a lizard. Orphan is, as his name suggests, an orphan. He knows only that his father was a sailor of some kind, but knows nothing about his mother or her family. He lives in London, in a bookshop, with Jack, a close friend. The love of his life is Lucy, and when she is killed in a bomb attack on the Mars probe, Orphan's life falls to pieces. He is himself attacked but does not know why. Arriving back at the bookshop he discovers that Jack is not what he thought and, after a catastrophic event, goes on the run. He realises The Bookman is after him. The Bookman is a very mysterious figure who is commiting terrorist attacks and, Orphan suspects, is the one responsible for Lucy's death. When The Bookman captures Orphan he gives him no choice but to go on a mission to a mysterious island known as Caliban which, it's rumoured, is where the lizards first landed and came from. The promise is that if he does this, Lucy will be returned to him. Orphan sets off on a voyage with Jules Verne and a rum looking bunch of sailors, having no idea what is store for him, or whether he will ever see London again. I'm developing a bit of a taste for steampunk with its dark, Victorian settings and weird mechanical elements such as automatons or flying machines. 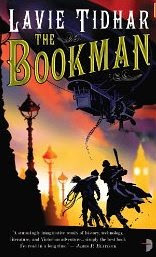 The Bookman is pure steampunk and I felt I should have loved it a lot more than I actually did. The silly thing is, I can't really decide why I didn't love it. I suppose it didn't help that I was unable to read it all in one go, over a couple or three days. I was busy, so it took me over a week to read and it may have been that that made the plot feel bitty. At times I felt confused about what was going on and that's a shame as this is in fact quite a readable book. There is adventure a plenty, the main character, Orphan, is a likeable young man, and the various settings - Victorian London, the high seas, the island, are well described and easy for the reader to imagine. 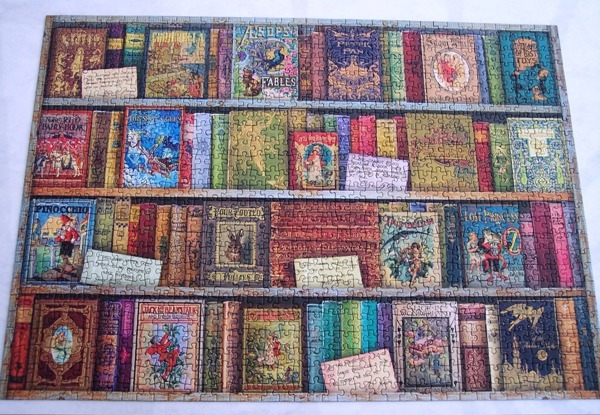 There are also many literary characters which make the book fun and interesting. 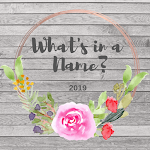 Mrs. Isabella Beeton is a spy character, Jules Verne, a French poet and adventurer, Irene Adler, a police inspector, Moriarty is England's Prime Minister, Sherlock Holmes makes a couple of very brief appearances and his brother, Mycroft, is also alluded to. It's fun - if a bit bizarre - but somehow it all lacked a bit of depth for me. The Bookman could have been a chillingly frightening character but he was just short of that. I wanted to know a *lot* more about these lizards, as I thought there was real potential for fear there, but there was precious little detail. It's a huge shame as there was certainly no lack of imagination in the book. Perhaps the author attempted too much, I don't know. There are two subsequent books in the series and it's possible that a lot more will be explained in those. At the moment I'm not sure if I will read them, if I do they'll come from the library I suspect. I have family staying at the moment so online time is limited. But I just wanted to pop in here and wish everyone a Happy Easter. Hope your weekend is exactly what you want it to be. I'm having fun with the grandkids, playing loads of Scrabble, and eating too many hot-cross buns! 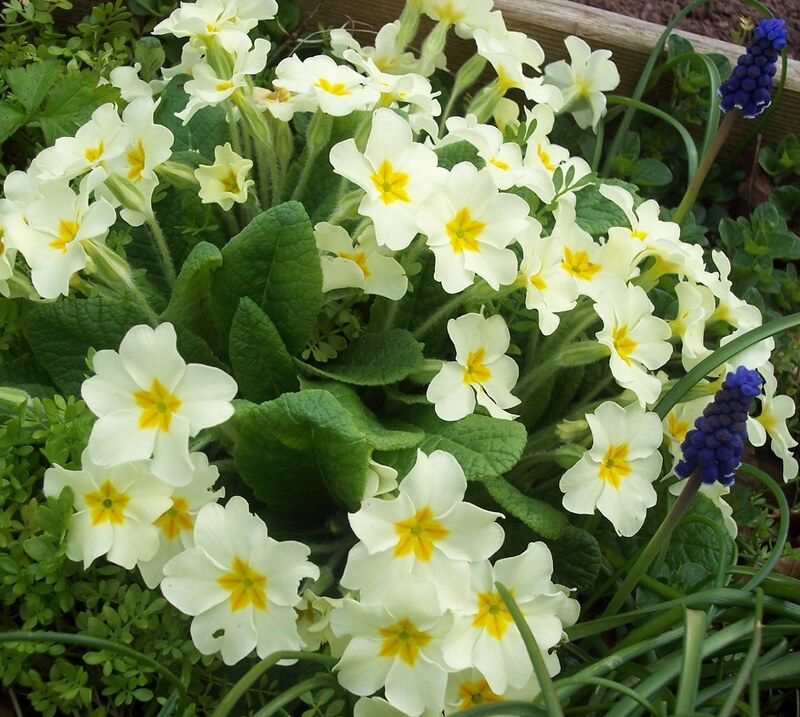 Well, that was March and now we're into April and I hope we haven't just had our summer. LOL. We had a couple of weeks last month which could easily have been summer but now we're back to more normal temps. and thank goodness for that. Rain is still in short supply though. We're okay in the SW at the moment but that might not last once the summer visitors start to arrive. Unusual for the UK to be short of water... I saw a doc. last week about the odd weather all over the world - I gather the scientists are calling it Global Weirding. Very apt. At Home in Thrush Green - Miss Read. I still have a few more Thrush Green books left to read, five I think, I shall miss them when I'm done. Down Under - Bill Bryson. This one will definitely be in the running for best non-fiction of the year. The Ship Who Sang - Anne McCaffrey. A reread which I enjoyed as much now as I did in my late teens. Stories - edited by Neil Gaiman and Al Sorrantonio. Some good stories, some not so good. Slightly underwhelmed. The best story was by Lawrence Block, so I plan to find some of his books to try at some stage... I own one, The Burglar Who Liked to Quote Kipling. All in One Basket - Deborah Devonshire. I've been reading this over a couple of months as a bedtime read. I thought it was just perfect. West of the Moon - Katherine Langrish. YA fantasy at its best. Loved it. Partnership - Anne McCaffrey and Margaret Ball. Book two in the 'Ship who...' sci-fi series. Slow start but it picked up and I ended up quite enjoying it. Dark Hollow - John Connolly. I'll say a few words about this one underneath. I think that's eight books, with my usual mixture... 2 non-fictions, 4 sci-fi/fantasy, 1 crime and 1 novel. I enjoyed them all, some more than others obviously. I'm not going to pick a favourite. I tend to review my favourite reads so folk will be aware that I loved Down Under, All in One Basket (no proper review but I've banged on about it several times) and West of the Moon. 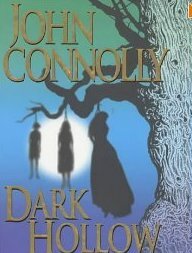 And before I finish this post I ought to say a few words about my last read of March, Dark Hollow by John Connolly. Ex-cop, Charlie Parker, is back in his home state of Maine after the events of the last year. I haven't actually read the first book but have gathered that his wife and little girl were murdered and Parker went after and killed the culprits. He's doing PI work in Maine and is after Billy Purdue who owes his wife some child support money. Charie catches up with him and obtains $500. He doesn't ask where the money came from and this turns out to be his first big mistake. Next thing, Billy's wife and child are brutally murdered and Billy is on the run. Charlie doesn't believe him capable of the murder, so who did it? There are many suspects including Tony Celli, a gangland boss, and a freakish individual who keeps appearing that Charlie doesn't know but fears instinctively. Deep-down though, Charlie feels the whole mess is connected to a serial killer his grandfather had dealings with, Caleb Kyle. And if that is the case no one will be able rest easy in their beds until the sadistic killer is apprehended. My husband's been on at me to read John Connolly's Charlie Parker books for ages. I've also seen many mentions on various blogs, so I knew that this was a series that might appeal to me. 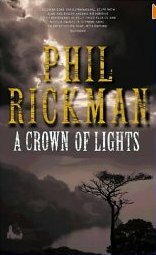 I started on book 2, probably not the best place, but it was fine, a lot of the events in book one are explained as you go along. I'm not a huge fan of the gangland, organised crime, sort of crime yarn, and there is quite a bit of that kind of thing in the book. Thus, I wasn't at all sure I was going to like it as I moved through the first few chapters and, to be honest, those were the bits I liked the least. But what I am a fan of is the kind of psychological crime yarn that Tess Gerristsen writes so well, and this reminded me quite a lot of her books, especially the Rizzoli and Isles story, Body Double. It's creepy and frightening quite frankly, with a large smattering of the supernatural thrown in for good measure. It seems this book is really a sort of crime/horror hybrid and I've decided I really like the mix. The wilderness in Maine plays a huge part, the forests particularly, and Connolly is not afraid to give plenty of factual information about the state, its history, the logging and so on. It might seem like an odd thing to do in a work of fiction but, for this reader anyway, it worked like a dream. I was amazed to discover that Connolly - author of The Book of Lost Things and a favourite supernatural anthology, Nocturnes - is Irish and lives in Ireland. How he writes books set in the US so well I don't know, it could be of course that Americans can tell he's not American, but I certainly could not. I thought the book excellent and already have book three, The Killing Kind, on my library pile. I will also be adding it to my American states challenge list as I came away from it with a real sense of the state of Maine... and also wanting to visit one day.